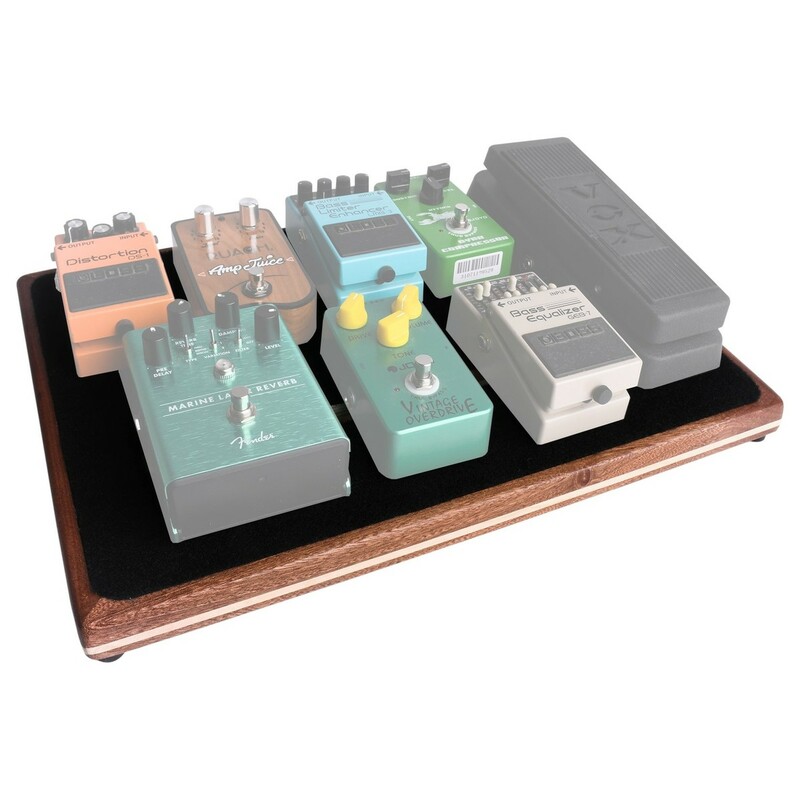 The Ruach Foxy Lady 2.5 Pedal Board is a mid sized board in the Foxy Lady range, measuring at 46x32x8cm. The board accommodates up to ten standard sized pedals, making it ideal for those with slightly larger pedal collections. 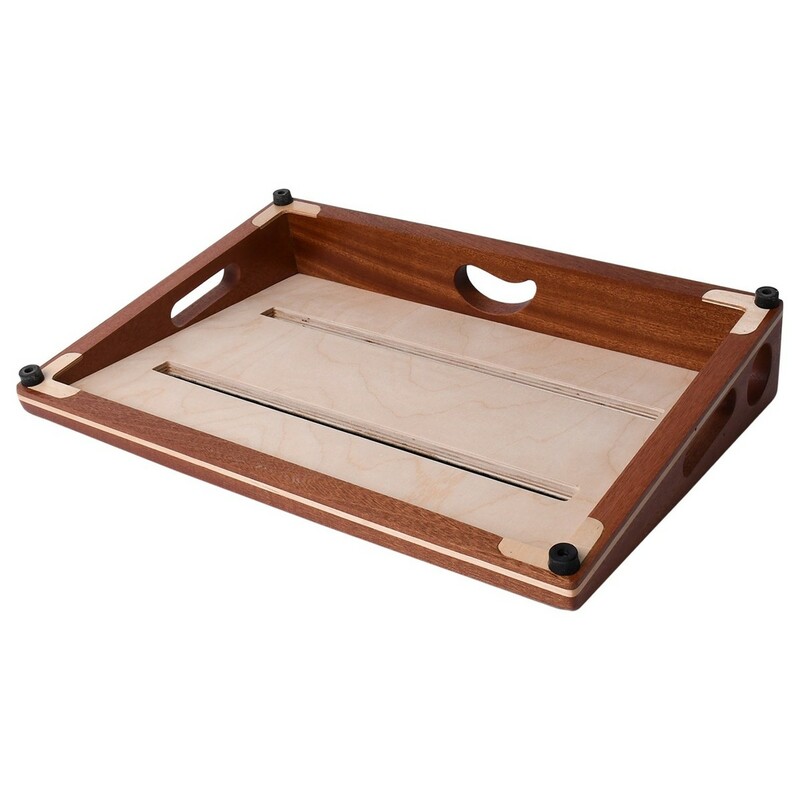 A mixture of mahogany and ash hardwoods have been used, offering enhanced stability and durability. 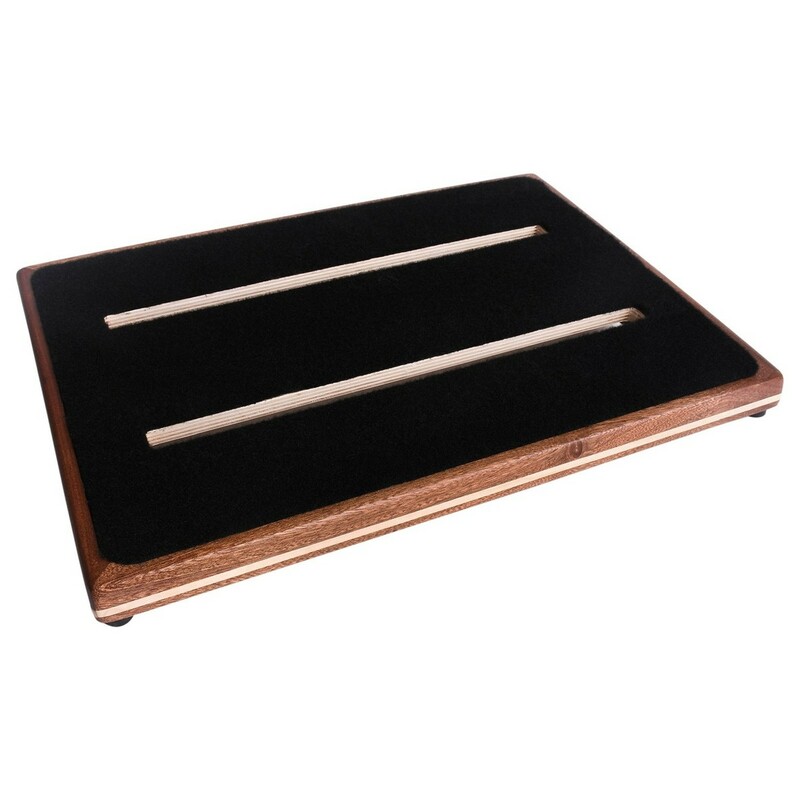 With a hand rubbed oil finish, the board is ideal for any travelling or gigging musician. The Ruach Foxy Lady 2.5 Pedal Board is a medium-sized guitar effects pedal board, designed to simplify your pedal management and allow you to focus on your music. 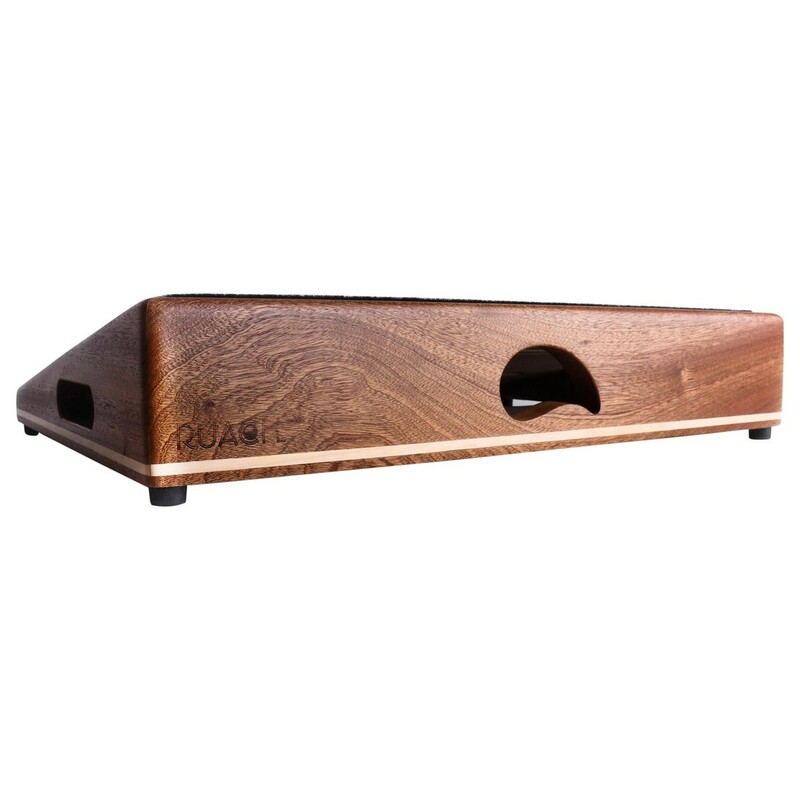 The board features a solid mahogany and ash construction with a hand rubbed oil finish and comes with a carrying bag and Velcro for mounting your pedals to the board. With the option to mount up to 10 standard sized pedals, the Foxy Lady 2.5 Pedal Board is the perfect board for any travelling or gigging musician.